*I'm sorry Tracy I won't be around to sign in to Mr. Linky for Shadow Shot Sunday. But I wanted to post for this week. Love your shadow shot for the day! Reminds me of when my kids were little! Hope you're having a great weekend, Mary! 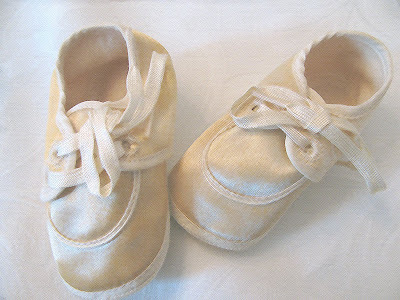 Those are some soft shadows on those sweet baby shoes. Too cute, we love the style of the shoes - and we are happy to buy more shoes as the lovely child keeps growing. Nice! First I thought there were no shadows on these shoes, then I took another look. Hope you had a fab weekend, Mary. have a great week Mary! passing by here..nice shoes.. If your interessted check out my unique photo challenge website www.weekdayphotos.com, every weekday has its own theme and a different photo challenge every week.